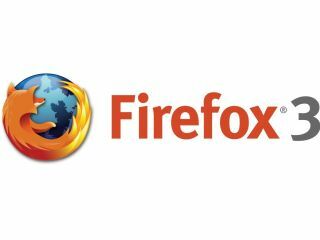 The president of Mozilla Europe has told TechRadar that competing with the likes of Microsoft, Apple and Google in the browser area has made things more uncomfortable for the makers of the ever-popular Firefox but that he welcomes the competition. In an exclusive interview with Techradar, Tristan Nitot – admitted that only a crazy company would choose to take on the might of Apple, Microsoft and Google, but insisted that the increasingly crucible-like heat of the browser market was driving innovation. "We think that a fair playing field - actual real competition - is good," said Nitot. "It's good for consumers, and this is exactly what we have done with the Firefox desktop browser – re-establishing competition." "Now we see Safari and Google Chrome putting pressure on us and Microsoft getting back to the market with IE7 and IE8 – it's not comfortable for us as a browser vendor. "Of course it was easier to compete with a Microsoft that was asleep, but it's not the case anymore. Now we have Google, we have Apple and they are amazing competitors. "Who in the market today would be prepared to take on Microsoft, Apple and Google? You'd have to be crazy. "So, it's not comfortable for us but it's good for the consumers. Firefox 3.5 is currently in beta - with the company ramping up the speed of the browser, something that is becoming increasingly important as people begin to explore the world of cloud computing. "As we gain speed it is going to enable these things. An example is the Google Suggest feature; at one point in time it was technically possible but too slow in reality so it stayed unimplemented. "But now it is used daily by hundred of millions of people because we have the technology to make it usable. "With increased speed it is going to make the things that are possible but unbearable into useful tools."